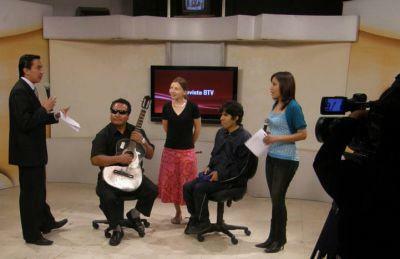 Bolivia Music Volunteer Appears on National TV! Projects Abroad volunteer, Lauren Brant, had a unique opportunity during her Music Project to make an appearance on one of Bolivia's biggest television channels. Lauren volunteered with us last year and after 3 months of teaching music to blind children, both hers and the student's hard work was recognised. 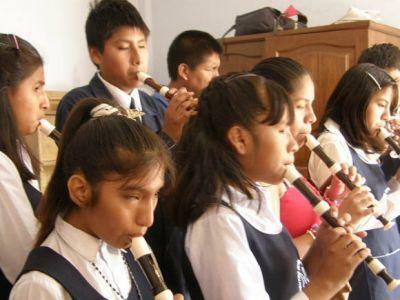 The children's ensemble consisted of recorders, charangos and percussion, and they performed three traditional Bolivian tunes as part of a live broadcast. The school in Cochabamba is specifically designed for the needs of visually impaired students, and the pupils are taught to focus solely on their talents. Lauren explains the mantra of the school song, which says in its chorus that the students 'wish to be free of pity, free of exclusion and want to be judged on their ability rather than disability'. Read more about the school and Lauren's experience in this charming corner of the world at the Incorporated Society of Musician's website, where her story has been published.